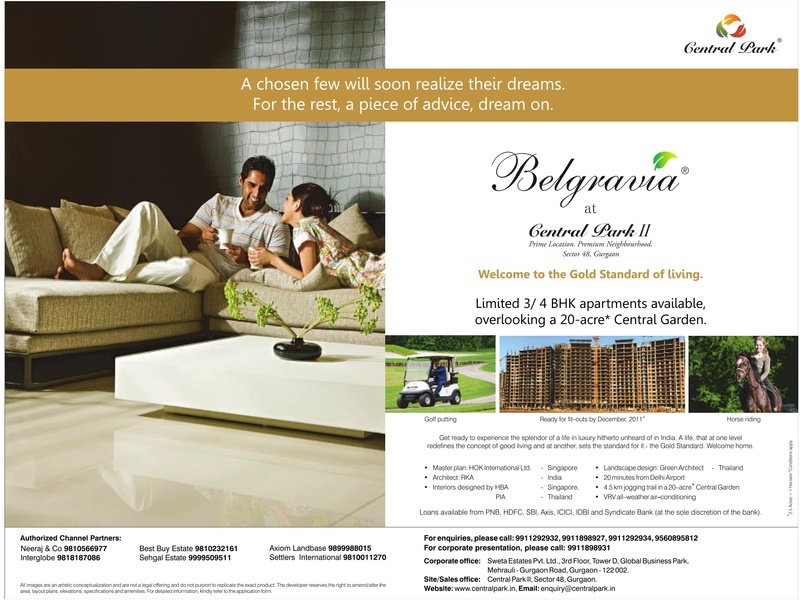 Central Park 2: Belgravia now officially delayed. Please see our earlier post titled "Belgravia Owners - Wake up call" . We dont know if any Belgravia Owners woke up or not by the CP2 management certainly did. 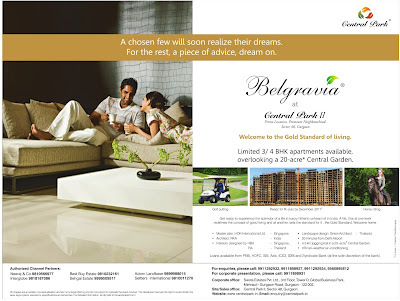 It released this new advertisement in Hindustan Times dated 29 Jan 2011. This one mentions "Ready for fit-outs by December 2011" with a #conditions apply so further delay can be expected. At least they have now surely accepted that there is a one year delay in Belgravia. If it's not ready by Dec 2011, you can measure how much delay there is exactly.